We are writing with an update and an immediate request. You may recall that last year, we added sand to the western end to a point about half way down the Spit; that half has stood up well in the face of storms. 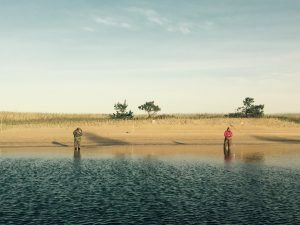 Woods Hole Group just completed its post-storm survey and found that the eastern end of the Spit, closer to Audubon land, is in significant and immediate need of sand, and we need to raise more funds for a project this winter. We are currently evaluating our options as our decision about the quantity of sand will be driven by the funds we are able to raise over the next month. The cost is approximately $25/cubic yard, depending on the final volume. Our target for this fundraising campaign is $250,000. If you could please make your 2019 donation or pledge now we can make plans for this important winter project. Click the button to donate We will complement this trucked sand with dredged sand in March in our annual project with the Town. In 2019, we will also continue to pursue grant opportunities including the MA Coastal Zone Management (CZM) which we understand will issue requests for proposals early to mid-2019 and we intend to participate in that process. We are pleased with the progress we have made in 2018 as we work to rebuild the Spit and create a longer, wider, deeper outer channel. Last year we successfully obtained critical permits from the Town of Mashpee and the State of MA that allow SPB to continue to expand and rebuild the Spit, while also dredging the channel at the foot of Popponesset Island. 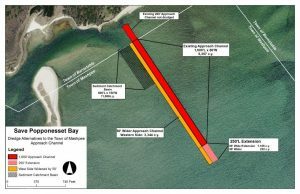 We continue to work with Woods Hole Group and the Town of Mashpee for permitting of the outer channel. This will improve boating safety while also providing a critical source of near term and long term dredged sand. We have completed our numerous studies with MA CZM, the support of which provided a grant of $186,000. We are now working with the Town to prepare the necessary permitting applications. This permitting process will continue through 2019. 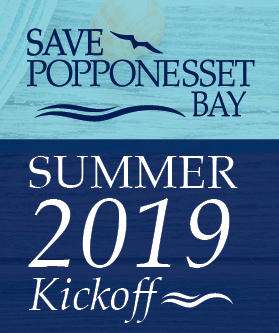 We thank you for your generosity and hope you will consider a year-end tax deductible gift to Save Popponesset Bay. We accept and encourage corporate matching gifts. Click below to donate or mail your donation to SPB, Box 920757, Needham MA 02492.